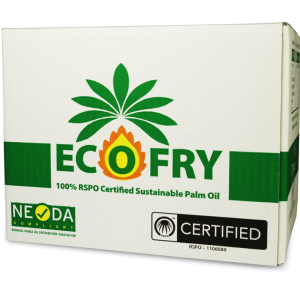 Ecofry Palm Oil an environmentally friendly Palm Oil certified by the Roundtable on Sustainable Palm Oil, sourced from sustainable plantations. 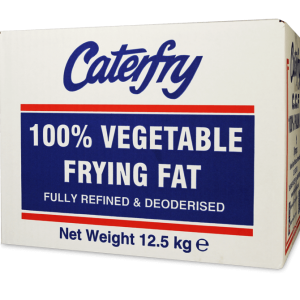 Caterfry Palm Oil is a sustainable natural vegetable fat, ideal for deep frying fish and chips. 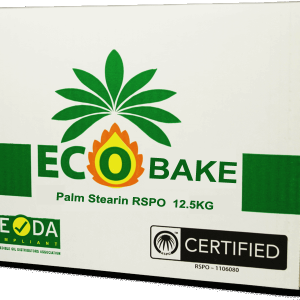 Eco-Bake Palm Stearin RSPO is a product derived from palm fruit from sustainable plantations, formulated for bakery and confectionery use. Eco-Bake Versatile Bakery Fat the versatile bakery fat blended from sustainable palm oil, palm stearin, and rapeseed oil, suitable for manufacturing pies and quiches.